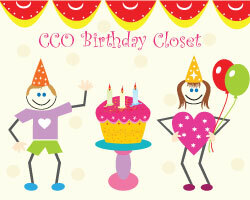 CCO shelters nearly 150 children and each birthday is important. A small network of dedicated volunteers bake cakes, decorate them, and deliver them to CCO for the children living in the shelter. 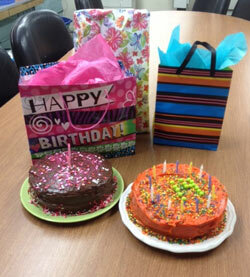 Donors purchase cake mixes, canned icing, candles, and decorations, to make each cake special. It’s important to have special events and celebrations for the families and individuals CCO shelters because being homeless is difficult. Isn’t it great to think that the children and parents sheltered at CCO will look back on their homeless experience with special moments like celebrating a Birthday? 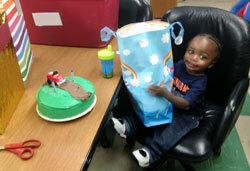 Are you interested in donating birthday gifts, cake mixes, canned icing, cake decorations, party items, birthday gift bags or wrapping paper for birthdays at CCO? If so, please contact Eve at eve@ccolife.org. Or you can also drop Birthday items off at our Santa Drop locations during Santa's drop offs for Back to School or the Christmas Program.